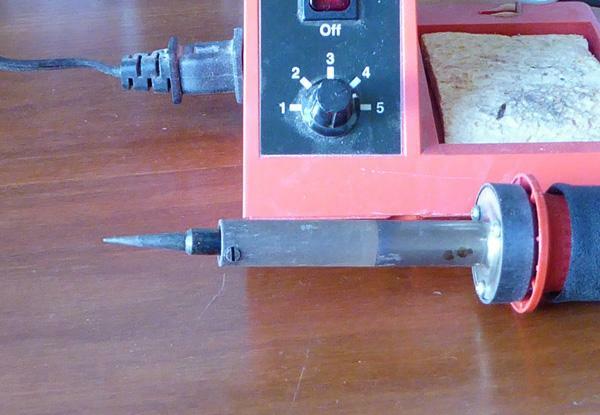 Changing a soldering iron tip on a Weller WLC100 soldering station is quite easy. First, make sure the iron is cool and unplugged. Then you will need a small flat head screwdriver to remove the tip . A screwdriver from this KC 6 Piece Screwdriver Set would work fine. 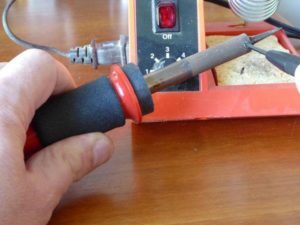 Find the small screw on the soldering iron shaft near the tip and unscrew it by inserting the screwdriver and turn counter clockwise. 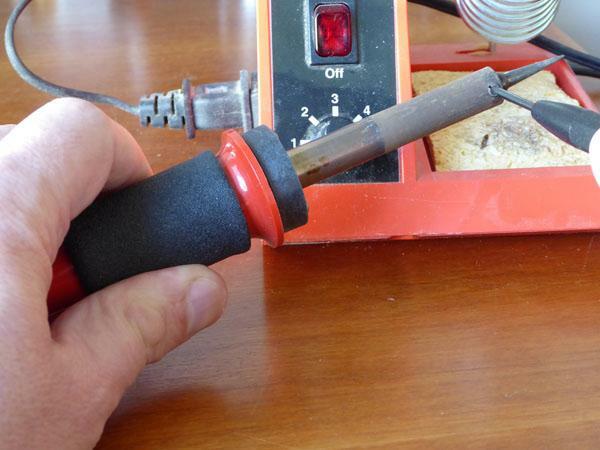 Tip the soldering iron downward and the loose tip should now fall out. Put in the new soldering tip and put the screw back in by turning it clockwise with the screwdriver. You are now all done, that is it. 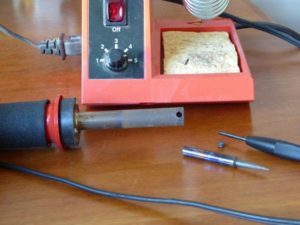 Other soldering stations will vary how the tip is changed and some you actually have to remove the shaft to get at the soldering tip. 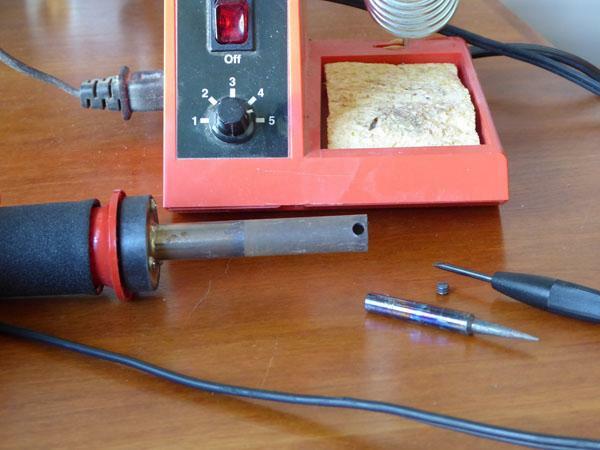 Also see our Beginner’s Guide To Soldering to see different types of soldering tips.